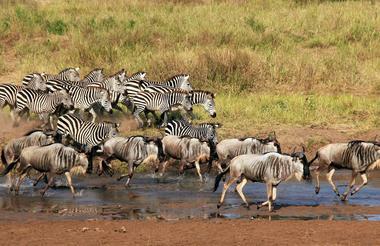 You’ll find the easiest Tanzania safari up in the northern circuit. That’s from Arusha, through Tarangire, into Manyara, via the Ngorongoro Crater then on to the Serengeti. This is where the annual migration takes place. 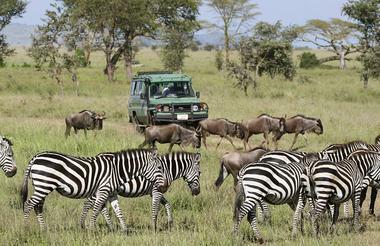 This typical Tanzania safari is run over 10 days/9 nights.  It’s available all year round. 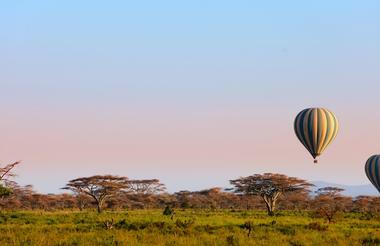 Why choose the Northern Tanzania Safari? That’s easy, firstly we’ll visit world-class national parks. 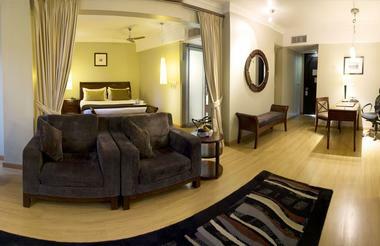 In addition we stay in deluxe lodges. You discover resident wildlife. Finally we have the grand finale – the Serengeti! So Arusha is the safari hub of Africa. While in Arusha why not choose an optional market visit for a little exploration. 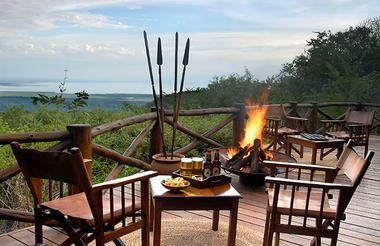 Firstly we have selected two nights in the Tarangire National Park where the wildlife is excellent. 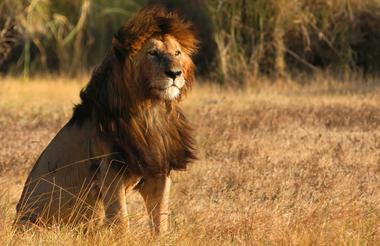 We visit Lake Manyara because you have a good chance to spot the famous tree-climbing lions! 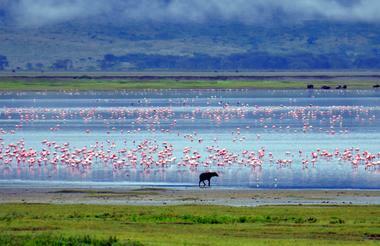 Manyara also has great habitat diversity. You experience the micro climate of Ngorongoro where we spend time on a game drive down the rim across the crater itself. You meet the Maasai people and while you’re with them you’ll learn about their culture and lifestyle. 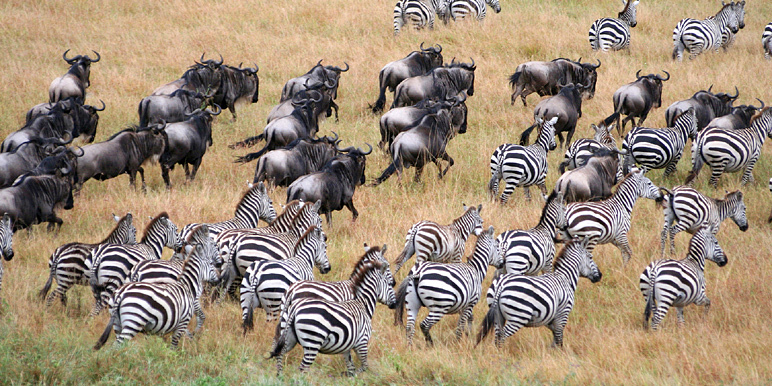 Then on to the Serengeti for two days searching for the wildebeest migration, resident wildlife and spotting predators. Finally, this is a Big five destination. So look out for buffalo, elephants, rhino, lion and leopard. 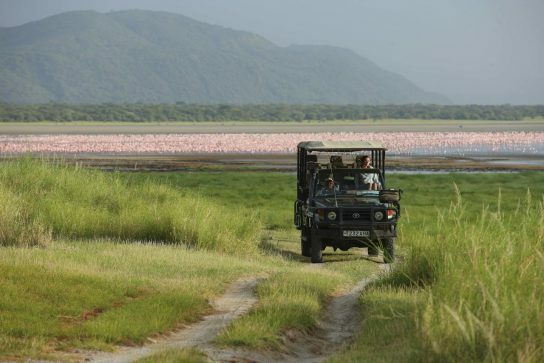 Tanzania is a year round destination, please go to ‘useful info’ below for safari dates. 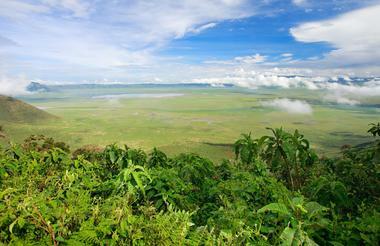 Your safari starts the moment you step off the plane in Arusha... 10 days of breathtaking scenery. You'll be met on arrival in Arusha and taken to your hotel. Visit the Tanzanite Experience Museum (rare precious gemstone. Optional extra) Go shopping or swimming in the hotel pool. 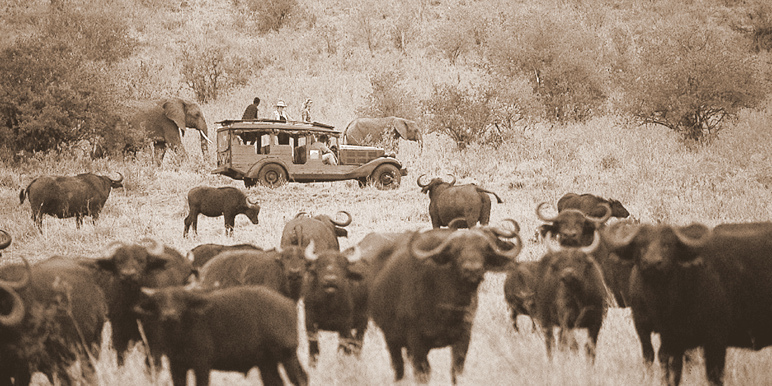 Game view transfer to your luxury tented camp. 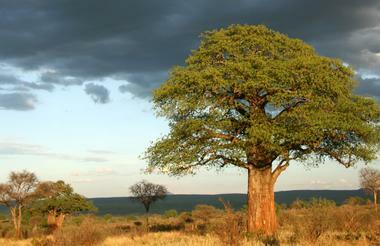 Excellent guides, giant baobab trees, large herds of elephants, plains game and predators. Road transfer to Manyara Lodge. Picnic lunch, climb the Great Rift Valley escarpment, sinset dinner at the Kirurumu. The area is famous for tree climbing lions, big game. elephant, buffalo & birdlife. Leisurely walk to visit the local Iraqw tribe, breakfast then road transfer to Ngorongoro Crater searching for rare black rhinos and black-maned lions. Morning game drive, lunch at the lodge and drive into the highlands. 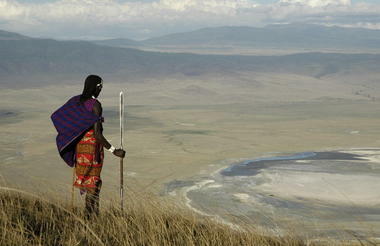 A walking tou or the area and of local bomas with a Maasai Chief. Please ask your Zambezi consultant if you would like us to book your international flights for you.